James grew up locally in West Newbury, Mass, where he attended Pentucket Regional High School. He began playing for Seacoast United in its Junior Academy Program and played up through to the U18 US Soccer Development Academy team. During his time at Seacoast he led his teams to several State Cup Championships, as well as a trip the Super Y Nationals. After graduating from Pentucket High School he attended University of Massachusetts Lowell, where he received a Bachelor’s Degree in History while starting on the men's soccer team for 4 years. James has continued to play for the Seacoast United NPSL team after finishing up at UMass Lowell. After several years coaching at Seacoast United, James joined Seacoast full time in 2014. 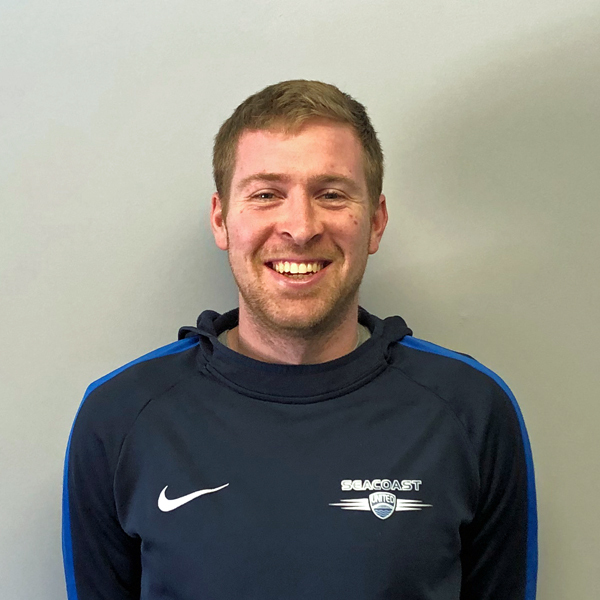 He has had numerous coaching roles at Seacoast United, ranging from Junior Academy programs to most recently working with the U15-U17 age groups, as well as working as a mentor coach to several surrounding communities. James is currently the Youth Programs Director and Club Registrar for Seacoast United North Shore.